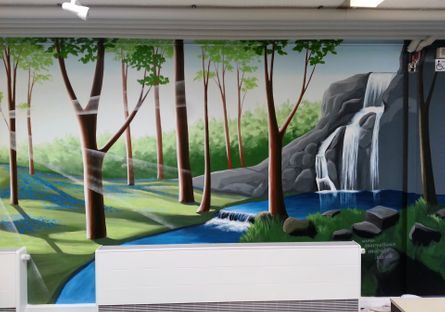 Wentworth Primary School asked us to paint a light, relaxing woodland scene in the Sanctuary area of their school. 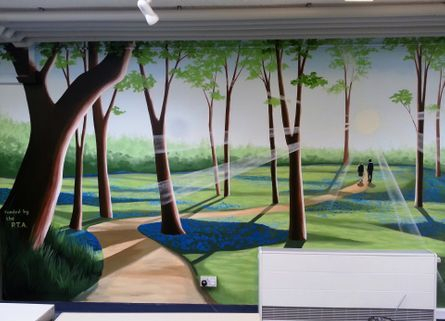 We kept the mural very bright and added lots of colour with the patches of bluebells and the waterfall to the right of the image. 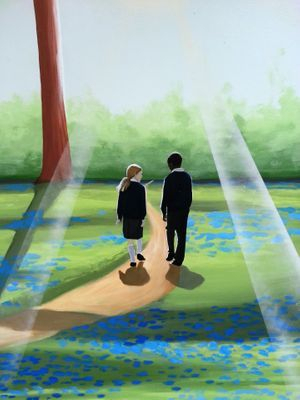 The head boy and girl are featured in the centre of the mural. This took us one week to complete.